Winter Carnival, Night Parade, Ice Hotel (Hotel de Glace), Montmorency Falls, Guided Tour & more! 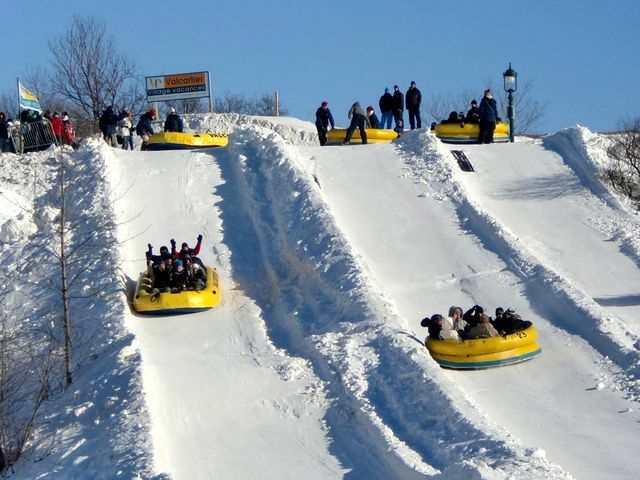 Pickup times have changed and are earlier by 30 minutes! Please note the new pickup time for your location! Join us for our 3-day tour to Quebec City for the Winter Carnival over the February long weekend. 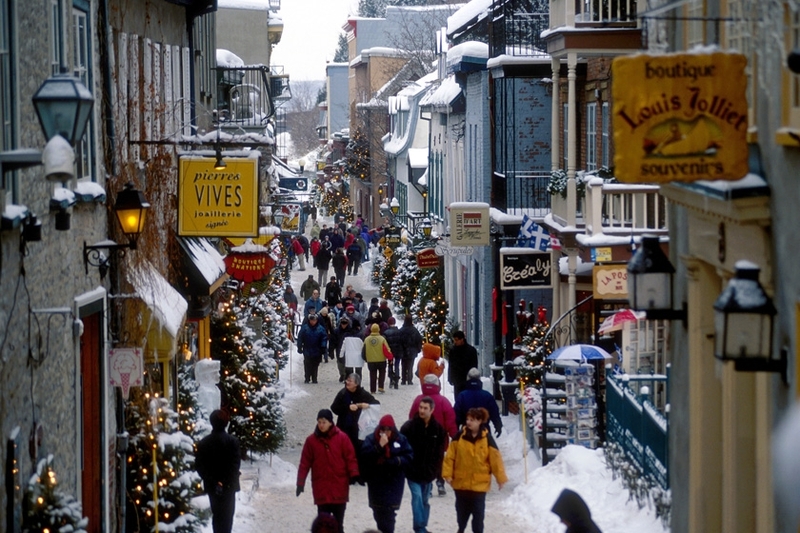 We leave Toronto on Saturday morning and arrive in Quebec City in time for the amazing night time parade. 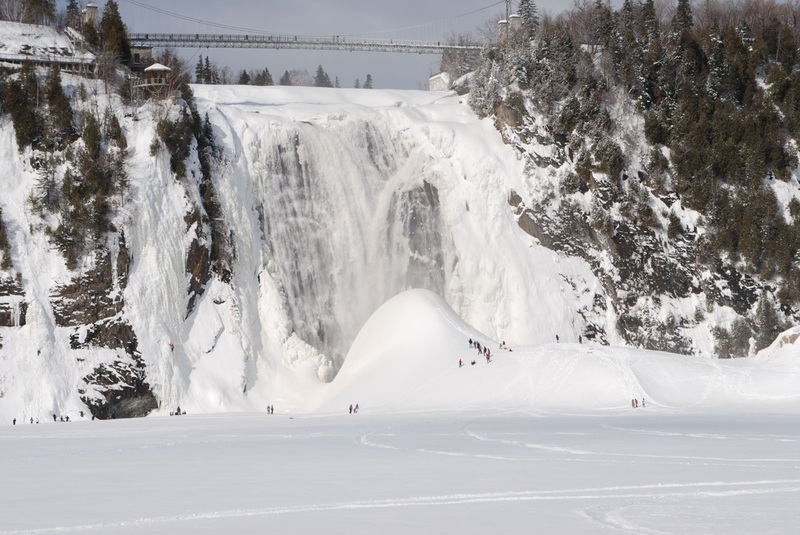 We spend Sunday having breakfast at the Manoir Montmorency overlooking Montmorency falls and journeying up to the top of the waterfalls in the cable car gondola. 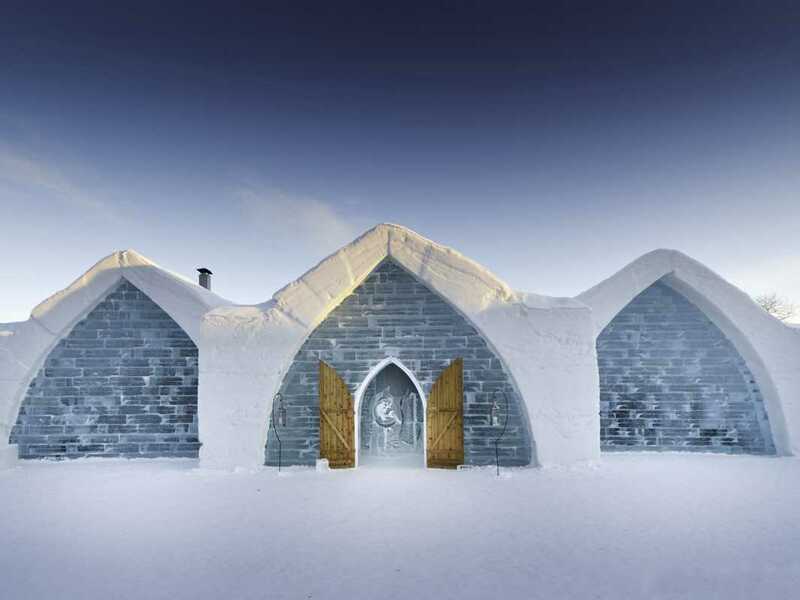 Then we spend a few hours exploring all the activities at the winter carnival in the old town, followed by a visit to the world famous Ice Hotel, also known as Hotel de Glace. 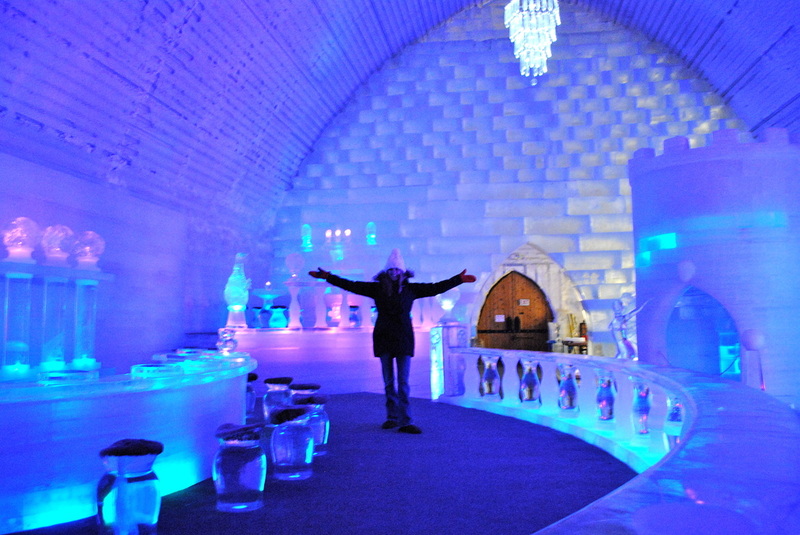 You get to experience the hotel both during daylight and at nighttime as it is lit up in all its surreal glory. 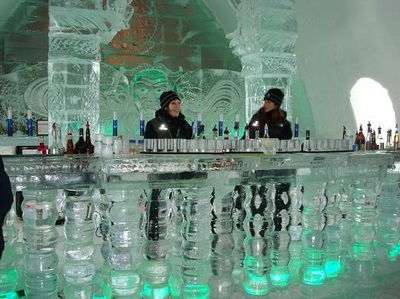 You even get to enjoy a cocktail, served in an ice glass of course, while sitting in reclining chairs made entirely out of ice! For those who have stamina, you have the option of going back to the old town for night time festivities. Two nights accommodation at the Comfort Inn included. 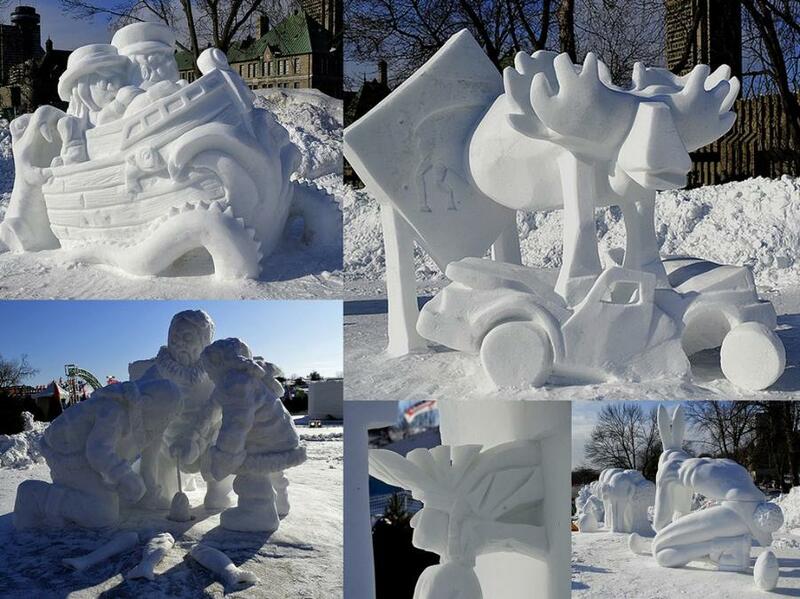 Winter Carnival entry pass (Bonhomme effigy) included. 7:00 AM -- Mississauga Carpool Lot, Hwy 401 & Hurontario. 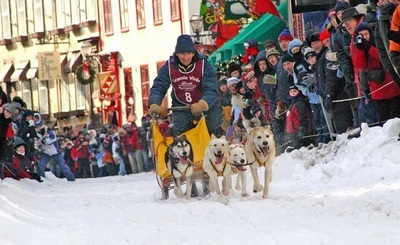 Final pickup times will be sent out in an email to all registered attendees, 2 days before the trip. 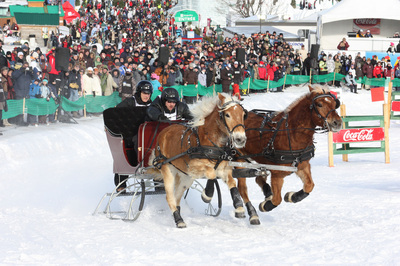 The winter carnival takes place in downtown Quebec City and occupies most of the downtown area as well as the park on the waterfront known as the Plains of Abraham. There are too many activities happening at the same time to list all of them here but you will be given a list of the things that you can attend during our time there. You just have to experience the Ice Hotel for yourself and words are simply insufficient to describe it. 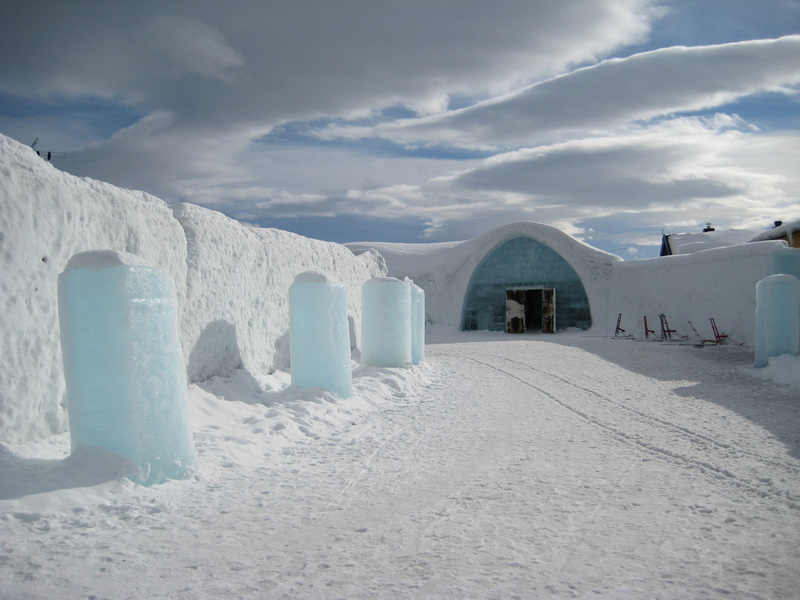 We will be visiting the Ice Hotel for a self-guided tour. 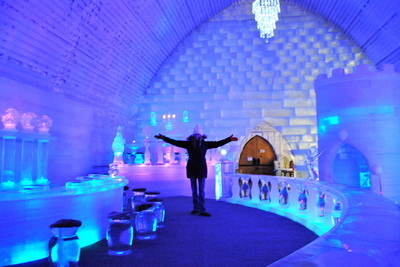 Admission to the hotel as well as a cocktail drink from the ice bar is included as part of the tour price. This is a fabulous photo opportunity, do not forget your cameras!